The marijuana industry grew from the sub-culture of the Age of the Hippie and is filled with evocative names for different sub-strains. Buyers look for exotic types called Purple Haze, Dutch Dope, and Northern Light. It is important to note that there are different types of weed that have been bred for different experiences. Currently, there are three major strains in existence today: Sativa, Indica, and Hybrid. As more states legalize weed for medicinal and recreational usage, the effects of the different types become more important. Some versions of marijuana have been bred to deliver a mild high. Others work to relieve chronic pain. Understanding the biology and the interactions when consumed is important as the laws and usage patterns of marijuana change. The Sativa plant is tall and thin with heights up to 25 feet not uncommon. It requires a great deal of sunshine to produce buds and it best grown outdoors. The odor produced when smoking is grassy in nature. It is an annual and there are both male and female plants. A sativa high provides a boost of energy. Best used during the day, it jump starts the creative process. Imbibers find that they are able to focus for long periods of time and experience a sense of well being. The stimulating effects make this the strain of choice for battling depression. Indica is a short plant that can be easily cultivated within indoor spaces. The leaves are broader and spread wider than those of the Indica strains. It emits a pungent sweet or sour odor and is popularly described as the couch potato weed since it has very strong properties of relaxation. Medicinally, it has been used to control seizures and manage chronic pain. Because of its powers of relaxation, most users consume this strain in the evenings to relax and combat insomnia. Because its effect on muscles is so profound, it is highly effective at reducing both back pain and headaches. Growers combine the two strains into hybrids that combine the best of both worlds. For example, people who suffer from chronic pain but want to stay alert may purchase a strain with strong components from Indica and minor elements from Sativa to remain active. Medicinal marijuana stores dispense weed that is carefully paired with a patient’s needs. See the video below that shows you various types of weed strains. 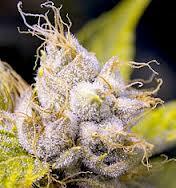 There are many forms and strains of marijuana which include Hybrid varieties, Cannabis sativa and Indica. There is even Cannabis Ruderalis all of which are used for recreational and or medicinal uses. The cannabinoids also known as cannabidiol (CBD) found in the hemp plant have multiple medicinal properties which are only just starting to be researched and growers are popping up all over the place cultivating their own plants. Tetrahydrocannabinol also known as THC is the property that gives you the high feeling and can be overwhelming the first few times cannabis has been used. What Is Sativa And Indica? im Shy, Will weed help me? If you are a shy person then weed will soon sort that out. Smoke weed and you will no longer be shy. What is The Strongest Weed Strain? The potency of weed is measured based on The THC level. If you like a mind high then go for a strong Sativa and if you like a Body high then go for an indica.